The series finale was interesting. It opened with Nick using the stick to try and bring Hank and Wu back. Eve, Rosalee, and Monroe found a spell that could possibly kill Zerstörer. 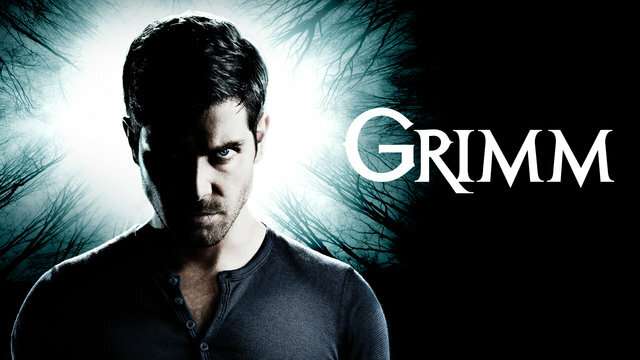 They need the blood of a Grimm, hexenbiest, and Wesen to create the spell. Monroe and Rosalee are told about Hank and Wu. Trubel, Monroe, and Rosaelee head to the cabin. Eve and Nick start to leave the spice shop when Zerstörer breaks down the door and comes in. He kills Eve. Nick tries to bring her back as well. It doesn’t work just like it didn’t work on Hank or Wu, and then Adalind tells Nick that Zerstörer not only wants Diana but Kelly as well. Trubel is standing guard outside the cabin when Monroe and Rosalee drive up. They explain about the spell and what they need. The three of them go inside to talk to Adalind and Renard. Adalind knows the spell they want to use. Nick shows up and tells them about Eve. Diana tells them Zerstörer is coming to the cabin. They wonder how he knows where they are. Diana tells them because of Nick. He has known Nick’s movements the whole time because of the stick Nick carries. Zerstörer has been looking for it a long time. Zerstörer shows up at the cabin and kills everyone except Nick. He brings Trubel back and tells Nick he’ll bring everyone back and leave the children alone as long as Nick gives him the stick. Trubel and Nick fight because she tries to stop him. Nick’s mom and Aunt Marie show up and help him defeat Zerstörer. Trubel comes up after it’s over saying I can’t believe we killed him. Nick looks at her like she is crazy and looks around his mom and aunt have disappeared. A portal opens and Nick is pulled through it while holding the staff that he used to kill Zerstörer. He crashes into the room at Monroe and Rosalee’s place to find everyone is still alive. The final fight between Nick and Zerstörer may have taken place while Nick was stuck in the alternate reality while the others tried to find a way to get him out. The end of episode goes forward 20 years and we hear someone recounting the story as he writes it down. It’s Kelly as an adult. Diana walks in and tells him to hurry because their mom and dad are waiting for them and the triplets are coming along as well. The triplets are Monroe and Rosalee’s kids and they are going to deal with a Wesen problem.